Nawshirwan Mustafa, politician, warrior, writer and historian has died aged 73 after a long battle with chronic illness. He was one of the Patriotic Union of Kurdistan’s (PUK) six original founders in 1975 and the founder of Gorran in 2009. Born in 1944 in the city of Sulaymani to an intellectual family, he had one brother and three sisters and pursued his studies under the guidance of the poet and writer Najmadim Mulla. At an early age he joined the School of Politics and Law in the city of Baghdad and successfully graduated. At 23 he became leader of the Kurdish national students’ union and he joined the Kurdistan Democratic Party (KDP) in 1967. Soon he started working with the KDP’s Ibrahim Ahmed and Talabani wing and he was one of the main writers for a new theoretical magzine called Rezgari. Nawshirwan was proud to play a key part in the most successful period of that movement which was based in Bakrajo district just 15 miles from the city of Sulaymani. He and his colleagues including Shazad Saeed belonged to a notable generation of an idealistic movement. After a few years he travelled to Egypt for his postgraduate studies but soon decided to proceed to Vienna to pursue a PhD there in political science. Nawshirwan Mustafa and his allies were not involved in the 1974-75 uprising and always referred to it as a tribal movement. After its collapse in 1975, Jalal Talabani and friends including Nawshirwan Mustafa decided to see how quickly they could re-establish the Kurdish nationalist movement and fill the gap left by Barzani and his movement. Talabani sent letters to various comrades including Nawshirwan Mustafa who dedicated himself to the cause from day one and was a founding member of the PUK which held a planning meeting in West Berlin in March 1975 and a few weeks later was formally inaugurated, issuing its first statement to the people inside and outside the south of Kurdistan. Nawshirwan Mustafa abandoned his final year of studies to go to Syria to organise the first armed unit that crossed the border into the south of Kurdistan. He organised this first trip with Talabani and they all went back together. They set up their base between the three borders of Iraq, Turkey and Iran in the intense mountain range called the Qandil which cannot easily be penetrated by enemy forces. From the outset Nawshirwan Mustafa played a pivotal role in organising the structure of the PUK movement. As a semi coalition party it comprised three groups – Marxist, quasi-Maoist advocates headed by Nawshirwan, who were the largest section of the coalition, socialists, headed by Ali Askari, the veteran Kurdish leader killed by the KDP in the Hakari tragedy, and conservatives headed by Talabani and his colleagues. Nawshirwan’s opponents have accused him of using all sorts of violence against them and he never accepted acts of betrayal by any members of the movement. A group from the Iraqi Communist Party were in a court battle with him on the basis of their accusations. The KDP accused him of ruthlessness in the conflicts between the PUK and KDP but he always enjoyed the support of most of the PUK leadership at that time. Nawshirwan was militarily the first commander in chief who decided the direction of the armed struggle. During the Anfal, the notorious pogrom in the late 1980s conducted by Saddam to force the people out of the villages of Kurdistan, it was Nawshirwan who led a few small units of resistance and reorganised the armed struggle. In 1991 following the Gulf War he was the architect of the uprising in the cities and villages of Kurdistan. When Kurdistan was liberated from Saddam’s forces by the Peshmarga, he made a distinctive contribution to the architecture of the post-war Kurdistan Regional Government (KRG). In 1994 he became involved in the civil war in the south Kurdistan with the forces of the KDP although following the 1992 election which the KDP won by a small margin he was one of the leaders who advocated that the PUK form an opposition and accept the results. However, Talabani didn’t accept the results and in consequence the civil war lasted for several years and caused a lot of deaths and mayhem in the cities and villages of Kurdistan. Talabani and Nawshirwan Mustafa were thereafter in dispute on several issues. Nawshirwan pointed out that corruption was increasing in the south of Kurdistan and that Talabani was siding with some corrupt leaders who weren’t contributing to the national cause. Over the next few years they had several disagreements to the extent that Nawshirwan came to stay in the UK for few years to be away from it all. According to other sources and my own meetings with Nawshirwan Mustafa in 2009, I know that he tried hard with Talabani to change the course of the PUK and root out those responsible for corruption. In 2007 Nawshirwan decided to resign from his post as deputy general secretary of the PUK and set up the Wisha company with the support of Talabani. This was a $20 million project and Talabani was delighted at the time to keep Nawshirwan away from the political organisation since he was a big source of problems for the Talabani wing inside the PUK. The Wisha company established a TV station, website and newspapers, providing a voice for people supporting real change in Kurdistan. 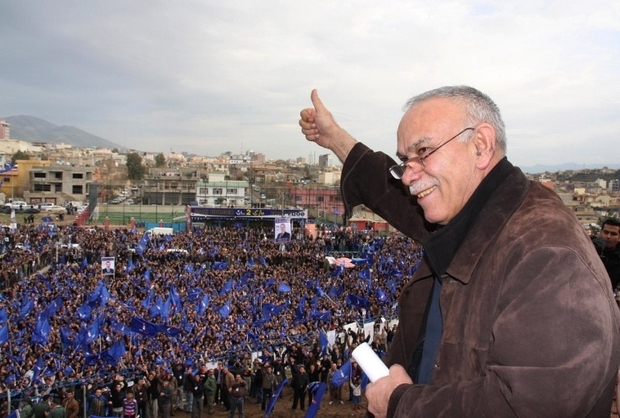 In 2009 Nawshirwan Mustafa and his colleagues decided to launch a new political platform called the Gorran movement. With comparatively limited resources Gorran managed to win 25 seats more than the PUK in the 2009 elections. Nawshirwan was in radical politics opposing corruption once again and this infuriated Talabani and his colleagues. Gorran’s strategy was that of a political movement refraining from violence and armed struggle. Its slogans won substantial electoral support for opposition to corruption in the government and judicial system and for curbing the power of a tribal family, the Barzani family, which has controlled all the muscles of government for the last several years. Talabani began a media campaign and court battle against Nawshirwan Mustafa’s Gorran movement. His illness following a stroke in 2012 served to mute this conflict and he came to accept the reality of two separate parties. The Barzanis and their KDP had a bloodier response and on 17 February 2011 KDP special forces tried to attack the headquarters of the Gorran movement but they were stopped by PUK forces. Nawshirwan Mustafa told me in 2009 that he had told the PUK leadership that, “If any forces of KDP masked men come to attack the Gorran headquarters, we promise you that not a single person will go back safely to their base“. He was warning the PUK to fulfill its responsibilities for security in Sulaymani. Consequently the KDP forces withdrew to the Masud Barzani headquarters in Salahadin city and the Gorran movment became a key target for the KDP. In 2016 Gorran decided to participate in forming the government but within months the KDP suspended the Kurdistan Parliament on the pretext that the leader of the house was siding with Gorran and other accusations. Since then normal democratic politics in Kurdistan have stalled and the Parliament remains inert under the order of Masud Barzani. 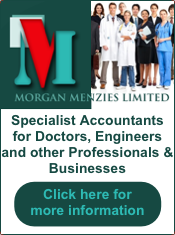 Nawshirwan Mustafa’s long battle with illness intensified in November 2015 and he came to the UK, returning to Kurdistan in May 2016. During that period the Gorran movement learned to function without their leader and the national executive council managed to respond to developments in Kurdistan. In November 2016 Nawshirwan’s health further deteriorated and the KDP media spread the news that he had cancer and was receiving treatment in London hospitals. Over the last few months he cancelled most of his meetings and people realised the gravity of the situation. On 13th May he returned by chartered aircraft to the city of Sulaymani and he passed away on the morning of 19th May 2017. Nawshirwan Mustafa wrote many books, on the history of Kurdistan and also his memoirs covering the years of armed struggle, which can all be studied today by our next generation in Kurdistan’s schools and universities. He provided new insights and perspectives on Kurdish history and will always be remembered for his coherent and effective writings throughout his decades of involvement in the Kurdish movement. In 1981 he married Shula Ali, who passed away in March this year, and they are survived by their three children, Chya, Chra and Nma.